Although all of G-WAY’s amplifier modules may be re-configured into Systems, to get a better idea of what G-WAY has to offer, here is a selection of Top Selling System Configurations. The MP16/28/47MK-R2U15 is a high power amplifier for HF applications. The MP16/28/50MK-R2U15 is a high power amplifier for HF applications. The RMP270/500/54HK-A is a broadband high power amplifier for VHF-UHF applications. The amplifier supports signal amplification in the 20-520 MHz frequency band. The RMP300/400/57HK-A is an UHF high power amplifier system for various applications. The amplifier supports signal amplification in the 100-500 MHz frequency range and is appropriate for CM/FM/PM/AM/Digital and/or Pulse modulations. The MP500/1000/48MK-R3U13 is a high power amplifier for the 20-1000 MHz frequency band. The amplifier system employs MOSFET devices, is protected against over-temperature, over-driving, over-power and excessive current draw. 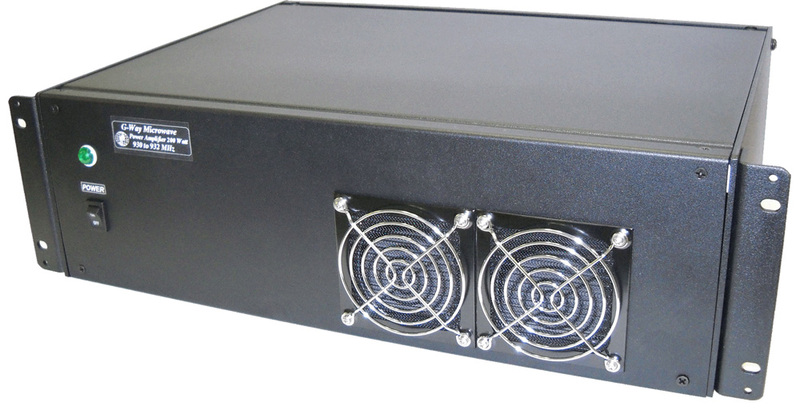 The MP510/980/54HK-R3U15 is a high power amplifier for the 20-1000 MHz frequency band. The amplifier system is protected against over-temperature, over-driving, over-power and excessive current draw. The amplifier employs GaN devices that provide ample output power, wide dynamic range and high efficiency. The MP540/1G/53HK-A-R3U15 is a high power amplifier for the 20-1000 MHz frequency band. The amplifier system is protected against over-temperature, over-driving, over-power and excessive current draw. The amplifier employs GaN devices that provide ample output power, wide dynamic range and high efficiency. The MP750/500/57HK-R4U17 is a high power amplifier system that supports signal amplification in the 500-1000 MHz range and is protected against over-temperature, over-power, VSWR and excessive current draw. This amplifier is suitable for lab, jamming or communications applications. The MP940/25/47MK-A9-R2U15 is a high power amplifier for 935-960 MHz frequency band. The amplifier system employs LDMOS devices and provides high efficiency, broad band and high dynamic range, protected against over-temperature, over driving, over-power, and excessive current draw. It provides remote control function via Ethernet interface for remote access and control. GUI control is provided. The MP940/35/44MK-A-R2U15 is suitable for 800 MHz band high power linear applications. It supports WCDMA, CDMA, GSM, IDEN and TDMA communication systems. 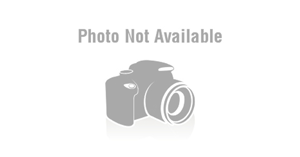 The MP942-10/54HK-R3U13 is a high power amplifier system for 925-960 MHz frquency band. It supports GSM/EDGE applications. The amplifier system is protected against over-temperature, over-power and excessive current draw. The MP947.5/25/40SK-A1-R2U15 is a high power amplifier for 935 – 960 MHz frequency band. 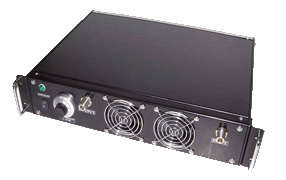 The RMP1100/280/54HK-A is a high power amplifier system for 960-1240 MHz frequency band. The amplifier system employs advance GaN power devices that provide ample output power, a wide dynamic range, broad band, and high efficiency. The MP1300/200/50HK-R3U15 is an L-Band high power amplifier system for various applications. The amplifier system supports signal amplification in to 1200-1400 MHz frequency range and is appropriate for CW, FM, PM, AM, Digital and/or Pulse modulations. Options Included: R3U15, FHR, FPPS, RM9, 12V1, SMA/N, SSPO, SRR, COTR-P, ETHER/RS232. The MP1300/200/50HK-A2-R3U15 is an L-Band high power amplifier system for various applications. The amplifier system supports signal amplification in to 1200-1400 MHz frequency range and is appropriate for CW and Pulse amplification. Options Included: R3U15, FHR, FPPS, RM9, 12V1, SMA/N, SSPO, SRR, COTR-P, FPGA, ETHER/RS232. The MP1400/400/50MKG-A-R2U15 is a broadband high power amplifier system for 1200 ~ 1600 MHz application. The amplifier system employs advance GaN power devices that provide ample output power, a wide dynamic range, broad band, and high efficiency. The amplifier system is protected against over-temperature, load mismatch, over-power and excessive current draw. It provides remote control function via RS232 and Ethernet interface. 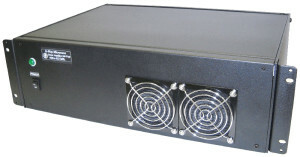 The MP1450/1200/50MK-A-R3U15 is a high power amplifier for 700 – 2200 MHz frequency band. The amplifier system employs GaN devices and provides high efficiency, broad band and high dynamic range, protected against over-temperature, over driving, over-power and excessive current draw. The MP1500/1000/60HKP-A-R5U22 is a broadband high power amplifier system that supports signal amplification in the 1000-2500 MHz frequency range. 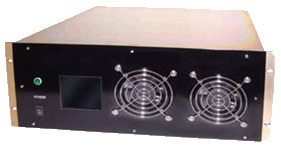 The amplifier system is fed by AC 110/220VAC standard grid power. The MP1500/2G/50MK-A-R3U15 is a high power amplifier system that supports signal amplification in the 500-2500 MHz frequency range, and is protected against over-temperature, over-power, VSWR and excessive current draw. It is suitable for Jamming or communication operation. The MP1525/1350/53HK-A-R3U15 is a high power amplifier for 850-2200 MHz frequency band. The amplifier system employs GaN devices and provides high efficiency, broad band and high dynamic range, protected against over-temperature, over driving, over-power and excessive current draw. The MP1650/1700/56HK-A-R4U20 is a Solid State high power amplifier for 800 ~ 2500 MHz frequency band. The amplifier system is protected against over-temperature, over driving, over-power, and excessive current draw. The MP1700/2000/45MK-A-R2U15 is a broadband high power amplifier for 700 – 2700 MHz frequency band. The amplifier system employs GaN devices and provides high efficiency, broad band and high dynamic range, protected against over-temperature, over driving, over-power and excessive current draw. The MP1700/2G/50MK-A-R3U15 is a high power amplifier for 700 – 2700 MHz frequency band. The amplifier system employs GaN devices and provides high efficiency, broad band and high dynamic range, protected against over-temperature, over driving, over-power and excessive current draw. The MP1750/1500/50MK-R3U15 is a broadband high power amplifier system that supports signal amplification in the 1000-2500 MHz frequency range. 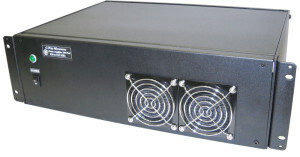 The amplifier system is fed by AC 110/220VAC standard grid power. The MP1775/1850/53HK-A-R3U15 is a high power amplifier for 850-2700 MHz frequency band. The amplifier system employs GaN devices and provides high efficiency, broad band and high dynamic range, protected against over-temperature, over driving, over-power and excessive current draw. The MP1840/75/47MK-A9-R2U15 is a high power amplifier for 1805 – 1880 MHz frequency band. The MP1840/75/50MK-A1-R2U15 is a high power amplifier for 1805 – 1880 MHz frequency band. The MP1850/2300/48MK-R2U13 is a broadband high power amplifier for 700-3000 MHz applications. It is suitable for jamming or communication operations. The amplifier employs GaN power devices that provide ample output power, wide dynamic range and high efficiency. The MP1940/460/54HK-R3U15 is a high power amplifier for 1710-2170 MHz frequency band. The amplifier employs advanced GaN power devices that provide ample output power, wide dynamic range and high efficiency. The MP2000/2G/47MK-A-R3U15 is a high power amplifier for 1000-3000 MHz frequency band. The amplifier is protected against over-temperature, over driving, over power, and excessive current draw. over driving, over-power and excessive current draw. provides high efficiency, broad band and high dynamic range, protected against over-temperature, over driving, over-power and excessive current draw. The MP2132.5/45/40SK-A1-R2U15 is a high power amplifier for 2110 – 2155 MHz frequency band. The MP2132.5/45/47MK-A9-R2U15 is a high power amplifier for 2110 – 2155 MHz frequency band. The MP2132.5/45/50MK-A1-R2U15 is a high power amplifier for 2110 – 2155 MHz frequency band. The MP2140/60/40SK-A1-R2U15 is a high power amplifier for 2110 – 2170 MHz frequency band. The MP2140/60/53HK-R3U15 is a high power amplifier system for 2110-2170 MHz frequency band. The amplifier employs LDMOS devices tand provides high efficiency, broad band and high dynamic range, protected against over temperature, over driving, over-power and excessive current draw. The MP2140/60/57HK-R3U15 is a high power amplifier system for single and multi carrier application in AWS & UMTS bands for WCDMA high power linear applications. The amplifier employs linear LDMOS power devices that provide significant linear output power, wide dynamic range and high gain. provide sufficient output power, wide dynamic range, and high gain. The MP2500/3G/45MK-R2U15 is a broadband high power amplifier system for 1000-4000 MHz frequency band. The amplifier employs advance GaN devices tand provides high efficiency, broad band and high dynamic range, protected against over temperature, over driving, over-power and excessive current draw. The MP3000/2G/53HK-A-R3U15 is a high power amplifier system for 2000-4000 MHz frequency band. The amplifier employs advance GaN devices tand provides high efficiency, broad band and high dynamic range, protected against over temperature, over driving, over-power and excessive current draw. The MP5675/50/44MK-A-R2U15 is a Medium Power amplifier system for 5-6 GHz band amplifications. The amplifier system is protected against over-temperature. The amplifier employs advance GaN devices that provide ample output power, a wide dynamic range, and high efficiency.